Pakistan | Freedom's Hope Ministry, Inc.
“My name is Pastor A. (name withheld for the safety of the pastor). I have been working for the Kingdom of God here in Pakistan since 2005. God gave me a vision to make 5000 House Churches and make a network of 500 Pastors / Church Leaders in Pakistan. I am very happy and excited to let you know that our Ministry already established 15 House Churches in different villages & towns and in every House Church we have 50 to 60 regular church members. Also our Ministry has established a network of 3 Pastors and 2 Evangelists working together to take care of these House Churches and working very hard to reach out to more and more outreach areas with the Word of God . Church Planting and House Churches. Free Education for poor Children. Free Food to poor People. Funds for the Building of two Church facilities. (transportation costs are extreme in Pakistan). Food, Blankets, and other Supplies for Needy Families”. (Due to the sensitivity of these specific reports and pictures, we cannot post them online. Those who are supporting a specific project receive updates and pictures on the project they support). Greetings in the name of Lord Jesus. After visiting your website it has been revealed to us that you are making partnership to help orphans & Street Children. Ours is a society working among the Gypsy and kiln laborers. The social status of these people is very low and they have no facility for their health and education. They are working at brickyards and even they sell their kidneys for money so that they may have three times meals. They are in the slavery of their masters as the Israelites were in the age of Pharaoh and their plight is pitiable. These hundreds children need pity and must be helped to save their lives. So, kindly support our project. Gypsy churches are very poor and these people are helpless and no source of proper income. In order to change their lives and to make their progress help them. Let us spend our sources for the betterment of these helpless kids. Jesus taught us to be kind to the children especially. To save the lives of these kids we hope that you will encourage us and will be a great cause to glorify His great name. Our society is consisted of Christian believers at national level, is non-profit, working among the Gypsy kiln laborers and poor people. It has been registered with the Pakistan government. We shall hopefully wait a positive response from you. 2. 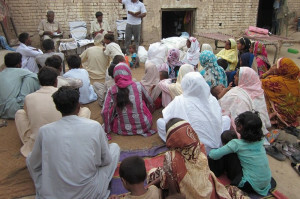 CYP’s Church planters in slum villages are asking for 1200 Urdu Bibles for sharing the word of God with unsaved and some spiritually hungry new converts as their locations are hubs of Muslim fundamentalists and there is huge shortage of God’s word. There has been much – need of your blessed part in this cause which is especially for strengthening steadfastness of our Youth Pastors and Church planters and enabling them to keep fulfilling their call and vision. Pray that the Lord roots miraculous availability of His living word to us – that all may hear!! 5. Let us pray together that the God would touch with HIS right hand the purpose of strong relationship with our fellow – laborers at Ministry for setting free the bonded souls with name of Jesus and truths of Gospel, translation and publication of souls saving material into Urdu language for changing the minds of vast Muslim population, Pastoral and souls winning trainings for our youth Pastors and Evangelists fulfilling their ministry call under restriction and hide, Mass Evangelism outreaches for transforming communities towards Christ, keep moving the precious mission of planting pioneer and reproducing Churches in restricted sites and delivering Lord’s promise for the communities in cultural and spiritual darkness on dominated lands of here. CYP has been Lord’s ministry presenting new – born life to communities and cultures for making mark for Christ through disciples making, outdoor rallies, Gospel outreach campaigns in anti-Gospel sites, campus crusades and outreaches, youth conventions and pastoral training for indigenous / native Church planters and women ministers, door to door Evangelism, humanitarian relief, mass Evangelism, literature publication and kids compassion projects. Help is urgently needed for the Mustard Seed Christian School in the Philippines! Nepali Girl’s Home needs our help! © 2015 Freedom's Hope Ministry, Inc.